Health care providers benefit from Michelle "Missy" Apodaca's distinct blend of business, as a previous in-house counsel for a payer, and her legal experience focusing on emerging trends in health care sectors, including value based care, alternative payment arrangements and risk-based contracting. Missy's comprehensive understanding of federal and state health care laws helps clients address the challenges they face with day-to-day operations, as well as the planning needed for reaching long-term objectives. Hospitals and health systems, physician practices, health care providers and technology companies working in the health care space rely on Missy's strategic insight into operational, business and related regulatory and legal issues. Previously, Missy served as the vice president of advocacy, legal and public policy at the Texas Hospital Association. Earlier in her career she served as in-house legal counsel and compliance officer for a Texas health maintenance organization and as a legislative aide in both the Texas State Senate and the US House of Representatives. The breadth and depth of her experience underscore Missy's zealous advocacy for clients who depend on her advice to plan proactively in the evolving health care landscape. Missy's advises clients in the development and negotiation of alternative payment arrangements with payers in both commercial and government products including and not limited to state-managed Medicaid programs, the Children's Health Insurance Program (CHIP) and the Medicare Advantage program. 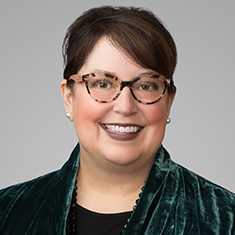 Missy also advises clients with regulatory and licensure issues involving the Texas Department of Insurance, Texas Department of Health Services, Texas Health and Human Services Commission, Texas Medical Board, and the Texas Pharmacy Board. Her experience includes representing clients with the licensure of health maintenance organizations, third-party administrators, health care collaborative organizations and accountable care organizations, discount health care programs, acute care hospitals, Texas non-profit health corporations (5.01a), and behavioral health care facilities and units. Additionally, providers use Missy to secure Medicare provider-based status and federally qualified health center (FQHC)/look-alike funding and on FQHC operational matters. Missy is a frequent and respected speaker at national health law and policy conferences. Shown below is a selection of Michelle’s engagements.